With Father’s Day tomorrow and Independence Day just around the corner, enjoy having these 4 free holiday-themed coloring activities at your fingertips! Each creative activity is reproducible and includes a Bible verse! Your kids will have tons of fun as they color their Dad a special message, telling him just how much he means to them! With two coloring activity options, kids can choose which picture they want to color for their dad! After honoring their dads, kids will soon be celebrating America’s Independence Day on July 4th. From Thomas Jefferson to the Declaration of Independence, kids will deepen their understanding of history— as they learn about what God says about true liberty and freedom with these coloring sheets! Appropriate for ages 3-8. Perfect for children’s church, parents, Sunday School, homeschool, and kids ministry! 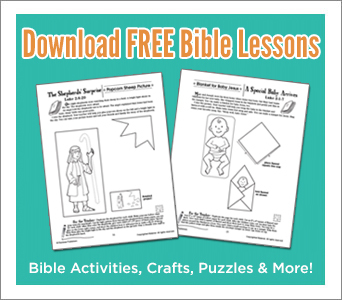 This free eChart includes 4 free coloring and drawing activities from RoseKidz’s Bible Activities in a Snap Downloadable Bundle, which features over 175 creative coloring activities! Get this downloadable bundle for just $13.99 and enjoy having dozens of activities for every major holiday! Please Note: Our activities are provided as a free service (and no purchase is ever necessary), but it does cost us time and money to create and send these emails. Any order from Rose-Publishing.com is appreciated. From Father’s Day and Thanksgiving to Christmas and Easter, enjoy having 175 holiday-themed activities that are full-reproducible! These are more than coloring sheets— each activity includes a Bible verses and/or Bible story that connects to the holiday! For example, during Valentine’s Day, kids will deepen their understanding of God’s love for them and the importance of loving others. During Easter, they will learn about Jesus’ sacrifice and resurrection. Now your kids can celebrate important days of the year with fun coloring activities that teach them the importance of each holidays! Display them in your classroom or let the kids take them home as a fun reminder of your lesson! Perfect for kids ministry, parents, grandparents, homeschoolers, and more! Use these coloring and drawing activities when kids arrive early! Before your lesson! During your lesson! During Snack time! When parents are running late! As an activity for a holiday event! Enjoy having these coloring sheets on hand as a way to celebrate a birthday! You could even have the kids create these art coloring projects to give to other people. Don’t Wait! Save $13.99 Today Only! Get RoseKidz’s Bible Activities in a Snap Downloadable Book Bundle featuring over 175 coloring activities— Just $13.99 (Reg. $27.98).